Omega 6 fatty acids are present in refined vegetable oils, convenience foods, and packaged products like cured meats, mayonnaise, packaged potato chips or crackers. Swap them for omega 3-rich foods like chia and flax seeds or walnuts and ensure your daily intake of omega 6/omega 3 is between 2:1 and 1:1. Omega 6 fatty acids are a type of polyunsaturated fatty acids that have health implications for you, both good and bad. Taken in the right amounts they can be a source of energy, make up the structural components of your cell membranes, and more. Have too much and you might even increase your risk of certain health problems. Here’s a look at foods that are high in omega 6 fatty acid content so that you know what you’re consuming and can moderate intake accordingly. In general, though, if you can get to anywhere from 2:1–4:1 it should be beneficial, though the most ideal scenario is one where you consume them in the ratio 1:1. You can get the ratio right by eating foods that individually have favorable ratios, like walnuts, flax seeds, and chia seeds which clock in at 4:1, 1:4, and 1:3 respectively. Or you could simplify it by ensuring you balance omega 6 intake with that of healthy omega 3 fatty acid rich foods. That said, here are the foods high in omega 6 that you need to keep an eye on. The ratios will give you an idea of how they fare in terms of omega 6/omega 3 balance. 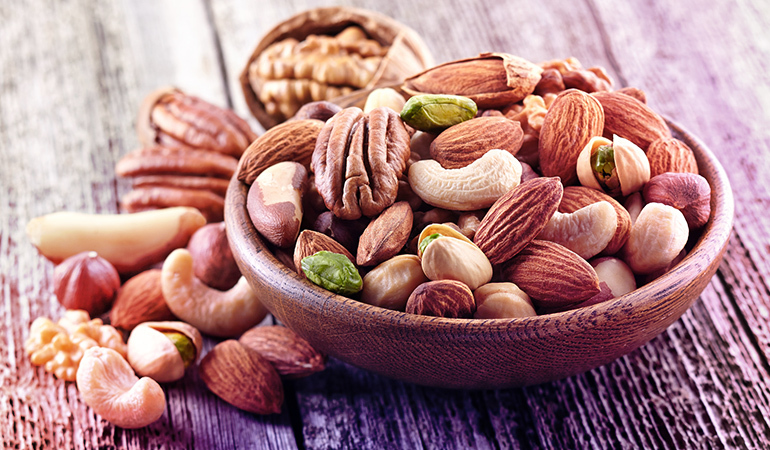 Nuts are a good source of nutrients, including essential fatty acids. While they do contain omega 3 fatty acids that you need to consume, they are also high in omega 6 fatty acids. Some nuts like walnuts have more favorable ratios of omega 6 to omega 3 than many other commonly consumed foods like cured meats and processed foods, so they are a potentially healthier addition to your diet. However, do be mindful of the omega 6 they contain and watch your overall intake, especially if you’re having nuts where the ratios are high like Brazil nuts. Seeds also cover both ends of the spectrum. While they are a healthier option than processed foods, the ratio is sometimes skewed. 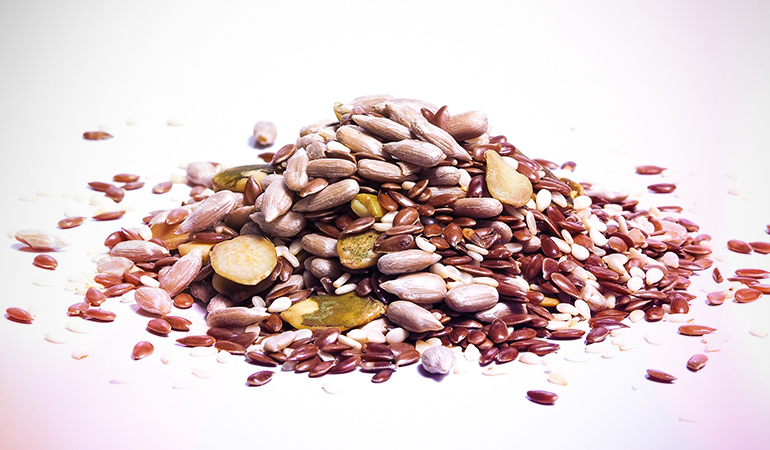 Flax seeds and chia seeds have more omega 3 fatty acid content than omega 6 fatty acids. While they do have a lot of omega 6 fatty acids, since they are a good vegetarian protein source and rich in vitamins and minerals, if you consume them in moderation and balance your overall intake of omega 6 fatty acids to omega 3 fatty acids every day, you should be okay. 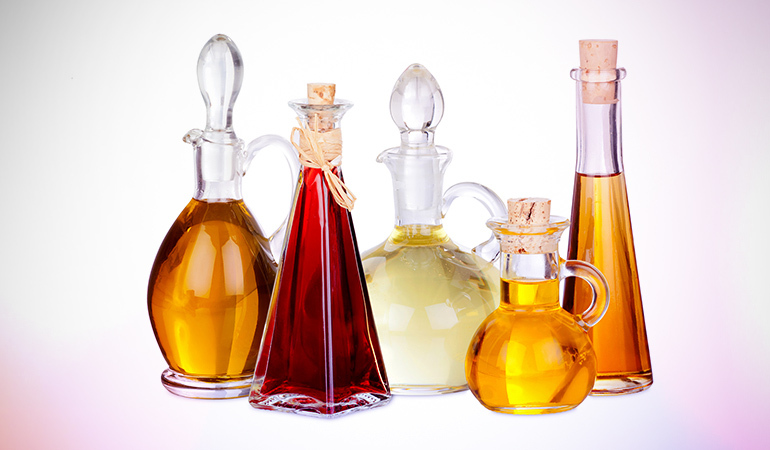 Refined vegetable oils are another source of omega 6 fatty acids. Oils such as safflower oil, soybean oil, corn oil, and walnut oil are especially high in their omega 6 content. So, when it comes to these fats, you could opt for those that also have omega 3 fatty acids to balance the intake. 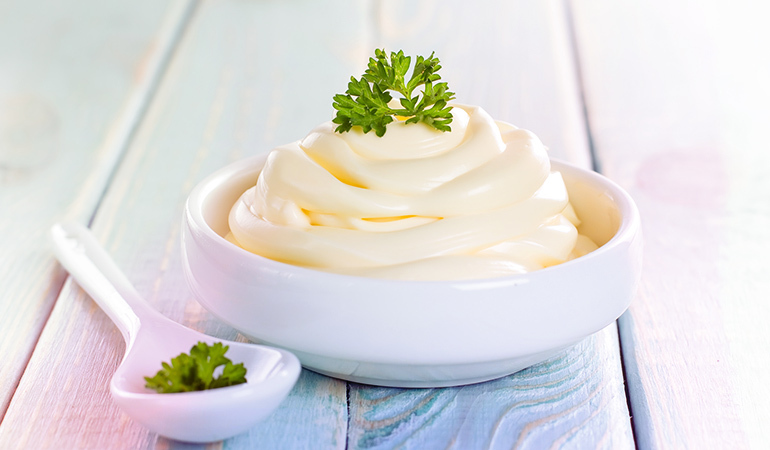 Mayonnaise and salad dressings can be chock-full of omega 6 fatty acids. A tablespoon of mayo, for instance, has 5.4 gm of omega 6 fatty acids and 0.737 gm of omega 3 fatty acids. That’s a ratio of 7:1.25 So trade in that mayonnaise for some light lemony vinaigrettes instead. Considering that they have hefty levels of omega 6 and not as much by way of nutrition compared to fish, poultry, and fresh produce, it is well worth cutting down on processed foods – especially since they also often contain saturated fats and even trans fats, which is not great for health. Processed foods are typically high in omega 6 fatty acids, containing 3–5 gm or more of these fatty acids. Cook these foods from scratch at home – it is well worth it for your health! A serving of hash browns clocks in 3.98 gm of omega 6 fatty acids and 0.340 gm of omega 3 fatty acids, a ratio of 12:1.27 This ratio itself may not seem as bad as some others, but consider the number of grams of omega 6 you’re consuming and you’ll see why it’s best avoided. A serving of cheese crackers contains 2.59 gm of omega 6 fatty acids and 0.2 gm of omega 3 fatty acids, a ratio of 13:1.28Again, the grams of omega 6 fatty acids are quite high. 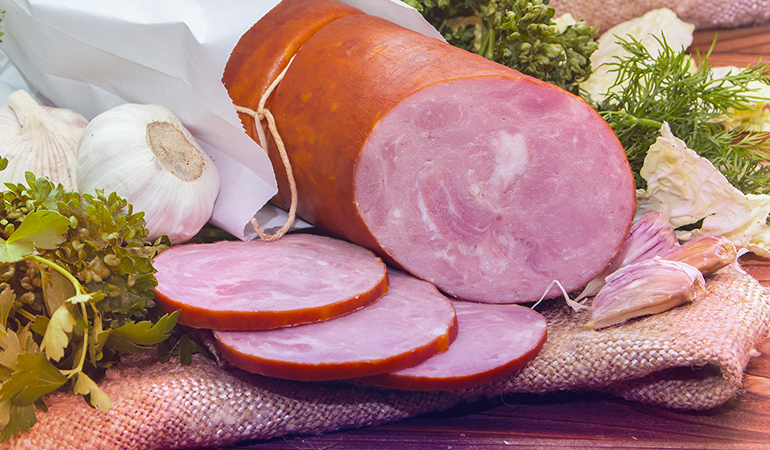 Cured meats are another source of omega 6 fatty acids. You could trade these meats in for meats cooked from scratch or healthy fatty fish rich in omega 3 fatty acids like sardines, tuna, or salmon. 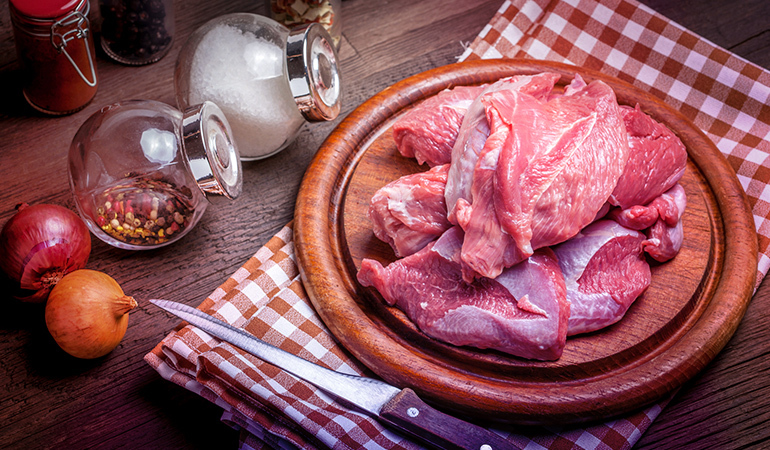 If you like your pork, you may want to keep an eye on the omega 6 intake in your diet. Even poultry could be adding omega 6 to your diet. 1. ↑ Schmitz, Gerd, and Josef Ecker. “The opposing effects of n− 3 and n− 6 fatty acids.” Progress in lipid research 47, no. 2 (2008): 147-155. 2, 9. ↑ Simopoulos, Artemis P. “The importance of the ratio of omega-6/omega-3 essential fatty acids.” Biomedicine & pharmacotherapy 56, no. 8 (2002): 365-379. 3, 6. ↑ Harris, William S., Dariush Mozaffarian, Eric Rimm, Penny Kris-Etherton, Lawrence L. Rudel, Lawrence J. Appel, Marguerite M. Engler, Mary B. Engler, and Frank Sacks. “Omega-6 fatty acids and risk for cardiovascular disease: a science advisory from the American Heart Association Nutrition Subcommittee of the Council on Nutrition, Physical Activity, and Metabolism; Council on Cardiovascular Nursing; and Council on Epidemiology and Prevention.” Circulation 119, no. 6 (2009): 902-907. 4, 33. ↑ Omega-3 Fatty Acids. Office of Dietary Supplements. 5. ↑ Simopoulos, Artemis P., Alexander Leaf, and Norman Salem Jr. “Workshop on the essentiality of and recommended dietary intakes for omega-6 and omega-3 fatty acids.” (1999): 487-489. 7. ↑ The importance of omega-3 and omega-6 fatty acids. The European Food Information Council. 8. ↑ Simopoulos, A. P. “Evolutionary aspects of diet, the omega-6/omega-3 ratio and genetic variation: nutritional implications for chronic diseases.” Biomedicine & pharmacotherapy 60, no. 9 (2006): 502-507. 10. ↑ Peanut butter, smooth, vitamin and mineral fortified . United States Department of Agriculture, Agricultural Research Service. 11. ↑ Nuts, walnuts, english. United States Department of Agriculture, Agricultural Research Service. 12. ↑ Nuts, brazilnuts, dried, unblanched. United States Department of Agriculture, Agricultural Research Service. 13. ↑ Basic Report: 16087, Peanuts, all types, raw. United States Department of Agriculture, Agricultural Research Service. 14. ↑ Seeds, sesame seed kernels, toasted, without salt added (decorticated). United States Department of Agriculture, Agricultural Research Service. 15. ↑ Seeds, sunflower seed kernels, dry roasted, without salt. United States Department of Agriculture, Agricultural Research Service. 16. ↑ Seeds, flaxseed. United States Department of Agriculture, Agricultural Research Service. 17. ↑ Seeds, chia seeds, dried. United States Department of Agriculture, Agricultural Research Service. 18. 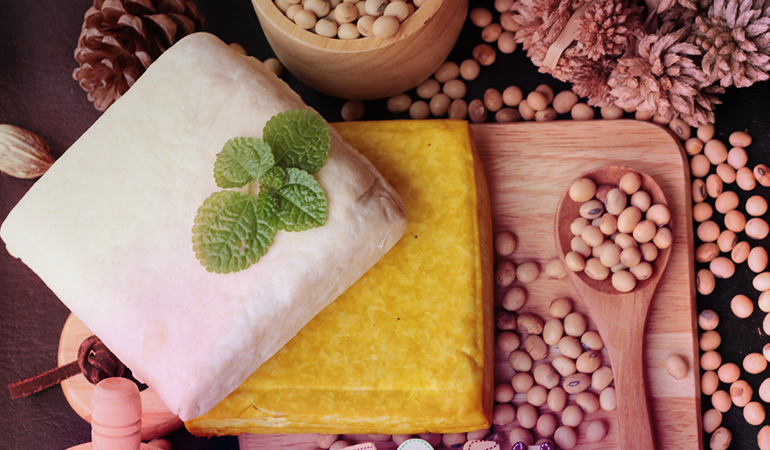 ↑ Soybeans, mature cooked, boiled, without salt. United States Department of Agriculture, Agricultural Research Service. 19. ↑ Tofu, firm, prepared with calcium sulfate and magnesium chloride (nigari). United States Department of Agriculture, Agricultural Research Service. 20. ↑ Oil, olive, salad or cooking. United States Department of Agriculture, Agricultural Research Service. 21. ↑ Oil, safflower, salad or cooking, linoleic, (over 70%). United States Department of Agriculture, Agricultural Research Service. 22. ↑ Oil, walnut. United States Department of Agriculture, Agricultural Research Service. 23. ↑ Oil, corn, industrial and retail, all purpose salad or cooking. United States Department of Agriculture, Agricultural Research Service. 24. ↑ Oil, soybean, salad or cooking. United States Department of Agriculture, Agricultural Research Service. 25. ↑ Salad dressing, mayonnaise, regular. United States Department of Agriculture, Agricultural Research Service. 26. 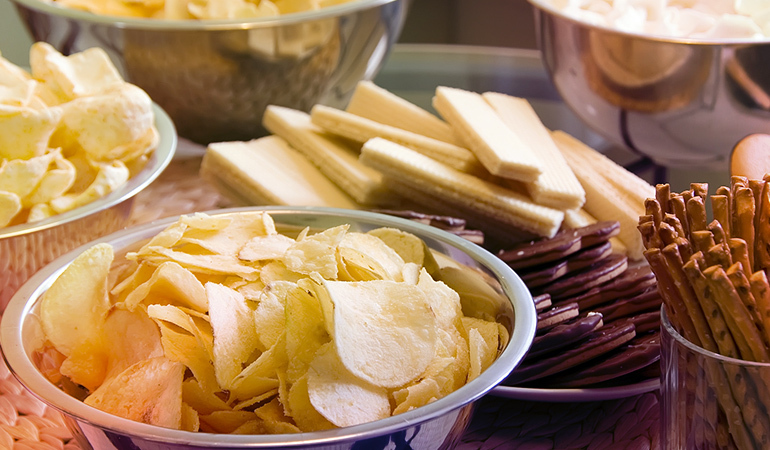 ↑ Snacks, potato chips, sour-cream-and-onion-flavor . United States Department of Agriculture, Agricultural Research Service. 27. ↑ Fast foods, potatoes, hash browns, round pieces or patty. United States Department of Agriculture, Agricultural Research Service. 28. ↑ Crackers, cheese, regular. United States Department of Agriculture, Agricultural Research Service. 29. ↑ Pork, cured, ham, separable fat, boneless, unheated. United States Department of Agriculture, Agricultural Research Service. 30. ↑ Pork sausage, link/patty, fully cooked, microwaved. United States Department of Agriculture, Agricultural Research Service. 31. 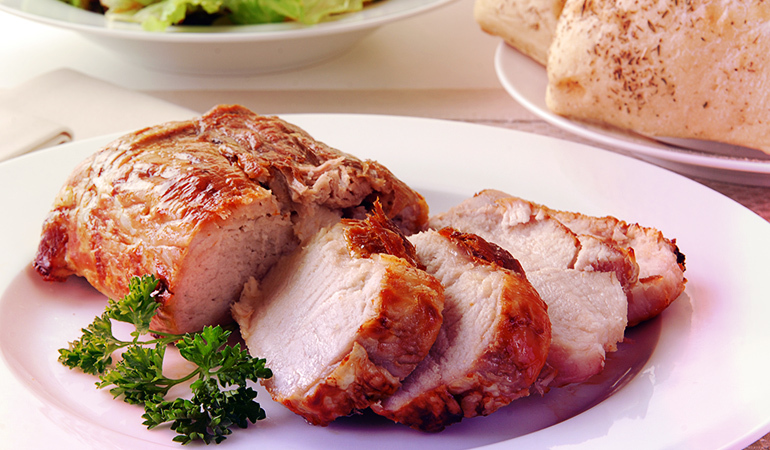 ↑ Pork, fresh, separable fat, cooked. United States Department of Agriculture, Agricultural Research Service. 32. ↑ Pork, bacon, rendered fat, cooked. United States Department of Agriculture, Agricultural Research Service. 34. ↑ Turkey, whole, skin (light and dark), roasted. United States Department of Agriculture, Agricultural Research Service. 35. ↑ Chicken, skin (drumsticks and thighs), cooked, roasted. United States Department of Agriculture, Agricultural Research Service. 36. ↑ Chicken, broilers or fryers, breast, meat only, cooked, roasted. United States Department of Agriculture, Agricultural Research Service.